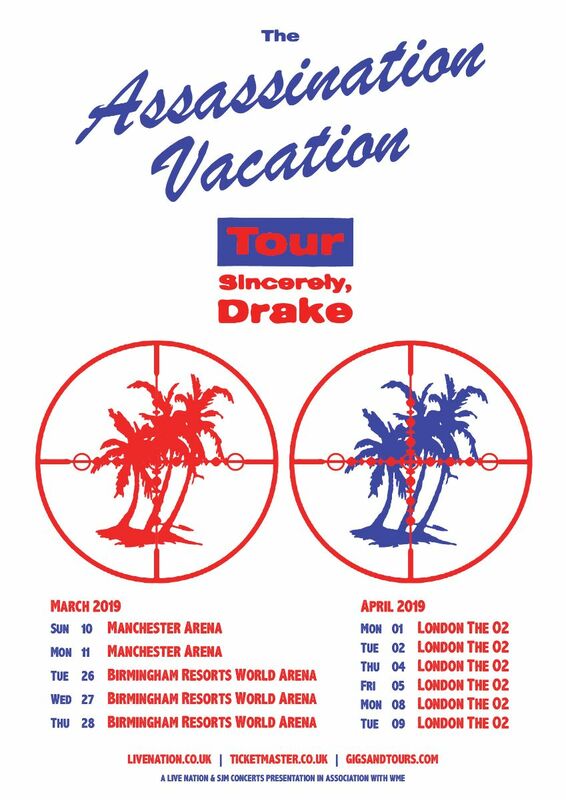 (LONDON, U.K. Tuesday, 22 January 2019) – Today, platinum selling, chart dominating powerhouse Drake announces the ‘ASSASSINATION VACATION TOUR’ with support from fellow Canadian rapper, singer, songwriter Tory Lanez. Fresh off the back of his sell out U.S tour, Drake will be taking his stellar production onto the U.K and Europe. The 22-date outing produced by Live Nation kicks off 10th March, 2019 in Manchester, U.K with stops to include Paris, Dublin, Birmingham, London, Antwerp, and Amsterdam. The tour announcement follows the record-breaking release of Drake's fifth studio album Scorpion which went onto to make history racking up over a billion streams in it’s first week.